Takako meditated with Aoi and talked. I ran aside and slept on the ground and on a tree. The season advanced like the original world, and winter was approaching. Takako noticed that white hair like fluff was mixed among the hair of the whole body, the black hair of the summer. Aoi 's whole body is beginning to mix pure white hair. From a distance perspective, it is changing from black to gray. "This white hair is winter hair, the whole body will be covered with white fur soon, it will be very warm hair, sleeping even in the snow," Aoi said. Takako stroked the soft hair around her belly. I thought it was like wool. It's an animal's winter hair. "It's warm, although the limbs are a bit cold, but my chest and stomach are cheerful." "The human body is warm, has heat, energy of heat, activity in the body keeps the body living regardless of intention.The hair grows unconsciously to live also to live The body is reacting, "Aoi said. "The body of a beast really is like a wildlife"
"I guess you also have a lot of wild remnants in the human body.I think that it was a nail, a cuspid tooth or a cocoon, etc. It seems that the upright biped walking was a division between animals and humans, no one answered about it Human beings who walked upright biped changed the view and feel of the world.The brain has also developed.These things saw not only the information but also the story there I found a story about the scenery, my friends and myself.The emotions became enriched and creativity was born.To create a tool and pursue that possibility.The tool is a form of a dream and hope.The substance I think that it was born in the beginning.I think that it was "tool" at the beginning.It is convenient thing to do something.It is much easier to do than doing without doing anything.It comes from nature at first It was a stick, a stone or such. Or beginning to processing it, I think the emergence of. Creativity to change the easy form to do more, to Toka chimpanzees and gorillas, but I think there is some individuals, maybe not. " The other animals "I think that the story is going down a bit again, I think I was talking about 'tools', but as it is, it seems to be a story of" creativity "
"Yes, surely now I was thinking only about" creativity. "I really forgot about just a little while living in" Now "," creativity "changed" material "," substance "Creativity" also draws dreams and hopes, perhaps it may be "creativity." I think that it was good among the tools, because the human being is the subject But when "tool" came to the highest value of value, I think that the world is the world that "substance" is the subject of the world.The human being is swallowed by the system to get it.The spiritual world, It is the same as there is no longer, non scientific things are being driven to somewhere. " While speaking, Aoi looked up at the sky from time to time. 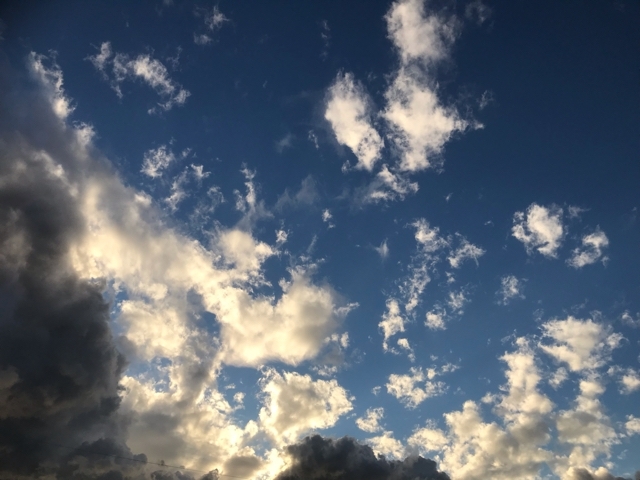 "But the sky is shining in the same way all the time, while showing the facets of every season"
Takako nodded in Aoi 's words and looked at the sky in the same way. And suddenly I thought of the world in which the reality came. Buildings stand side by side, cars are in and around, the world full of "material". There is something nostalgic in that world. "I have been in here for quite a while now, even if I can return to the same time as I came, the sense seems to be familiar to this world if I am too long, I feel like I will not be familiar with the original world well "Takako said. "Well, you might as well go back soon," Aoi said. "I think that I like this world very much, although it is far from the common sense of the original world, I feel it is very simple to live and live"
"I think I already know, but it is possible to live simple and fun even in your world, it depends on your mind and consciousness." "In your world there was a man called Buddha more than two thousand years ago, it is a human being awakened," Aoi said. "I think that there was a document called saddle that the disciples left behind." "There are many people who have woken up in your world, both in the past and now, Buddha realized that I was an avatar, and that consciousness was spreading to the universe and I realized it was the universe itself Man keeps advancing in the infinitely spreading consciousness over time.While getting the freedom of "choosing." There is a choice for every step.The choice is usually done almost unconsciously Because I can not be conscious of "choice" instantly. " "I think that 'selection' is certainly done unconsciously, and I think that 'choice' is often influenced by daily habits, even in the rest of the phase. "To live happily simply and simply," Choose the best way "every moment, until it becomes unconscious"
"What does that mean? Is it meant to live an instant for the best?" "Well, it's such a feeling." Make "thinking" and "behavior" the "best thinking and action." Always keep positive and constantly take action before your eyes as the best action, It will be "the best reality"
"Is it the reality you desire?" "Shed time towards the reality we want, time can not be stopped, we can change the flow, that ability is all human, and" choice "gains freedom for that You choose "choice" yourself, you always choose the last in any situation, even if you force you to do something. "Even if you are forced to do something, you are choosing to do"
"It is yourself to choose the reality you want, so positive is very important, if you thought that" such a reality can not come ", you are" choosing "that person I can not be confident about my ability and strength.I can not believe that consciousness is spreading to the universe and what I can do for the future that wants the future I can not change my fate and I can not change the reality And my wish is always fulfilled, "thinking" is connected to reality as it is "as a wish"
"Is negative thinking reflected in reality?" "It's such a thing, to keep positive with the bottomless adversity, it is important to notice the possibility of that person, any situation, any situation, there is the power to change it. Human energy is united with the universe "Thinking" moves the universe and creates reality "
"Our future may be in a crisis situation, as the rock human beings of this world have stalled, humans dominate people and nature and destroy it, create a sustainable system We admit the highest value to substances, which surely comes to an end to such a world, is that we can change that reality? " "You also know the Beatles"
"Of course I know ... I think that John Lennon was awakening, the movement of music and art of that era is also said to be a flower movement.The students who were aimed at the muzzle by the police, Love and peace, awakening has started from the contemporary civilization. " "It seems that young people were connected by art across races and national borders, the movement spreading to the world, the influence seems to remain," Takako said. Aoi and Takako came back to the base of Oyama where they were originally. "Here is the place where you guys' house in your world," Aoi said. Pots and mirrors were standing in the meadow. It feels very heterogeneous. "This is the place of our facility in the world, I feel like returning very much when I come here, I am worried about my children, I have already left a lot," Takako said. "Okay, the original world has not advanced a second, I will return you on that time axis," Aoi said. "Try to stand in front of a mirror"
Takako stood in front of the mirror and reflected his whole body. There was a beast whose white winter hair began to mix. When I looked closely, the figure was a wild animals themselves. "What is this fang and sharp nail for?" "To protect yourself, humans are also hunted by carnivores, not elevated consumers in the ecosystem.In wolves and birds of prey, they are hunters, we are prey." < br> "Wolf is alive, it has been extinct in Japan"
"Another natural creature plays a necessary role for the natural ecosystem, but the wolf has become extinct even in this world, but the wolf here evolved from the dog," Aoi said. "I am sorry a little, but will he come again?" "If you wish, I will always be in your unconsciousness and in the sky, I will pick you up again if I wish in front of a mirror." "Thank you, I will go back to my world, and I will manage to live my own way. With children"
"It will be a good future, A surely," Aoi said. Takako offered his hand to the mirror. My fingertips stepped in in the mirror. Takako turned over again. "Aki, I am very happy to meet you, please look at me forever." "Sapo, we will be together forever, do not forget," Aki said. Takako waved his hand and went into the mirror. As I passed through the mirror, it was a room of a facility like a ruin. All the furniture seemed to be brought out, and nothing remained. Broken pieces of the window glass were scattered on the floor, with mud attached. The sun is plugged from a broken glass window. The area was very quiet. A bird flew and stopped at broken glass fragments of the window frame, after a while looking through the room, it fluttered and flew away. "The original world has not advanced for a second, I will bring you back on that time axis," Aoi said. Sapo thought, "Is this my world?" I saw white clouds from the window.